English: Hairy spurge, Garden spurge, Pill pod sandman, Asthma plant, Snakeweed. 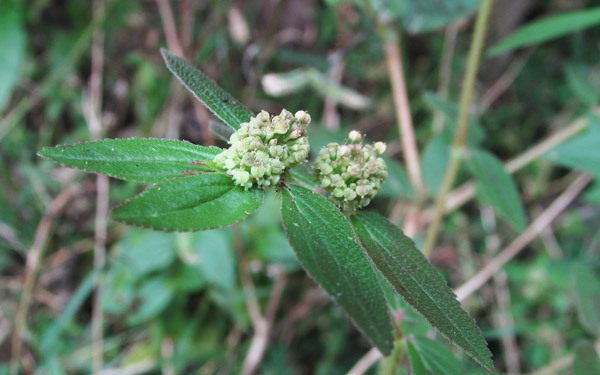 Asthma weed - Euphorbia Hirta is an erect, slender, sometimes prostrate, annual herb grow up to 60 cm long, and it produce a white sap or latex which is sticky. The leaves are simple, brownish-green, elliptical, hairy in both surfaces, toothed margin, and arranged in opposite pairs on the stem, apex obtuse-acute, the stems are hispid, also hairy and produce a white sap. There are stipules present. Flowers are uni-sexual, found in axillary cymes at leaf axils. Fruit is like a capsule, which is tiny, and four-sided with red seeds. the roots are taproots, brown or white in color. ability to increase platelet level, to cure respiratory, bronchitic asthma and laryngeal spasm, amoebic dysentery, nausea and vomiting, worm infestations in children, jaundice, pimples, tumors, gonorrhea, and digestive problems. Anti-bacterial (it act against the bacteria such as pathogenic bacteria, Helicopter pylori, and Plasmodium), anti- viral(Dengue fever). Applied the latex of plant (milk) on fresh wounds can cure easily, and used in the treatments of rashes, warts, swellings, and to cure cracked lips. Note: Regular consumption of the plant may cause infertility (reduces the sperm count).